A lot more Philadelphians live near a full-service grocery store compared to 10 years ago. A lot more Philadelphians live near a full-service grocery store compared to 10 years ago. That’s according to a new analysis from The Reinvestment Fund, which found that between 2005 and 2013, the number of residents without access to a grocery store dropped 56 percent. Nationwide, TRF tracked a 45 percent reduction. But while Philadelphia is outpacing national improvements, other parts of Pennsylvania remain stagnant or lag behind. TRF identified areas across the country with limited access to full service grocery stores. It then mapped out how that changed between 2005 and 2013. “Limited access” factored in things like population density and transportation availability for a given region. 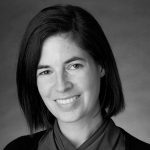 The availability of state and private financial support played a major role in Philadelphia’s improvements, according to Miriam Manon, a senior associate with the Food Trust. Manon helped manage the Pennsylvania Fresh Food Financing Initiative, along with TRF, which was a state backed program that invested millions in full and limited service grocers. TRF has invested $54 million in Philadelphia alone between 2008 and 2011. Manon recalls that grocers didn’t immediately respond. It required outreach and courting on her part. Meanwhile, the concerted financing effort wasn’t the only driver in Philadelphia’s uptick in grocers, says TRF CEO Don Hinkle-Brown. “It seems pretty clear that the marketplace responded with its own effort and began to appreciate that inner city neighborhoods were a market opportunity and then took action on their own,” he says. The analysis found food shopping options improved the most in North and West Philadelphia. Other pockets of the city, including the area north of Bridesburg, continued to struggle. Pittsburgh saw improvements in supermarket access, with a 42 percent reduction in residents lacking a nearby grocery store. Reading experienced a 71 percent reduction. The Scranton/Wilkes-Barre region had an 86 percent reduction. Less notable, the Lancaster region saw 16 percent reduction, with about 10,000 residents gaining easier access to a grocery store. The Harrisburg region remained stagnant, while about 6,000 residents in Altoona lost access to a grocery store, marking a 380 percent increase.